Did you know that George Washington was haunted by dozens of ghost children? That’s right. One of America’s Founding Fathers had his estate haunted by ghosts of children. 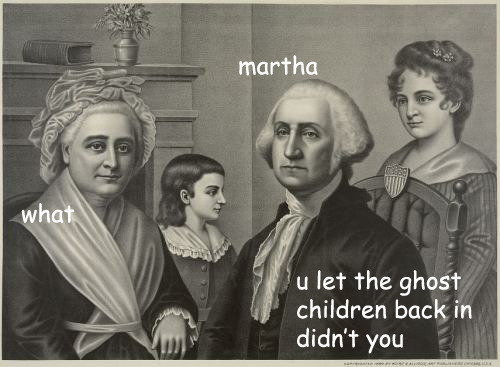 Furthermore, good ol’ George’s wife, Martha, had a habit of adopting kids by the dozen behind his back. Now, if you’re asking yourself “where was THIS in the history books?” allow me to be the first person to break the news to you that everything you know is wrong. So, then, what is right? The memes, my friends. The memes. 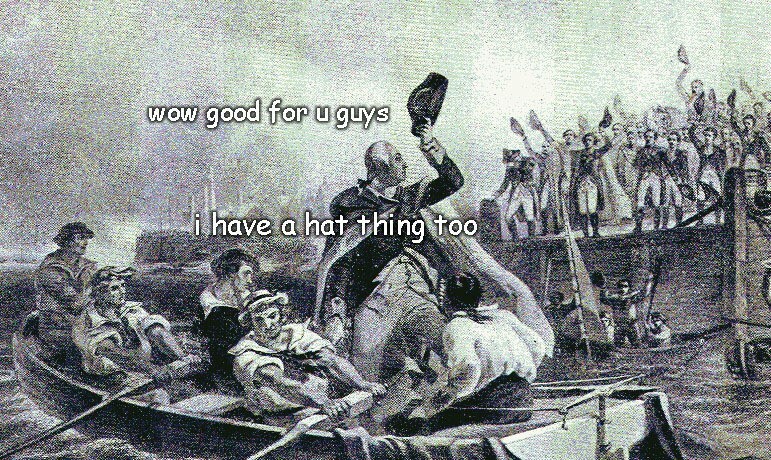 Not just any old surprised Pikachu memes, I’m talking about memes about our Founding Father, George Washington, or “Washingtubs” for short. This type usually hosts a surprised George complaining to Martha Washington about the spectral youngsters that haunt their manor. This type is my second favorite kind of Washingtub. Maybe it’s the way that he always looks skeptical of what’s going on in the painting that makes these so entertaining. Regardless, ghost children are good to the last drop. In a lot of cases, George’s compatriots tend to try to keep him grounded but George just isn’t having any of it. There’s something serendipitously beautiful about painting this legend of a man as such a childish agent. 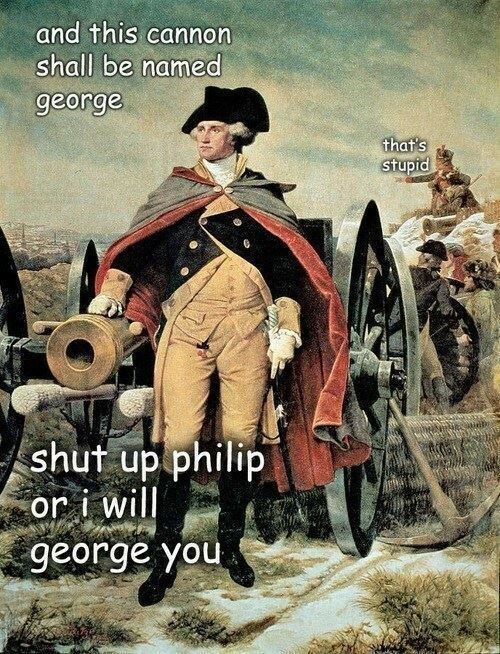 Perhaps it’s just the nature of how artists were limited to depicting life back then in tandem with the look on George’s face in some of the paintings that make these so meme-able and entertain me. Regardless, they’re magnificent at delivering a good laugh. Keep in mind that these are only a few examples of Washingtubs; there’s plenty to go ‘round on the internet. So, if you want a nice ab workout, take a few minutes to scroll through a few (georgewashingtonmemes on Tumblr is a good repository of them).